As a rider myself i enjoy filming as well, so we decided to put together a banger short movie of our riding to round off a great summer. 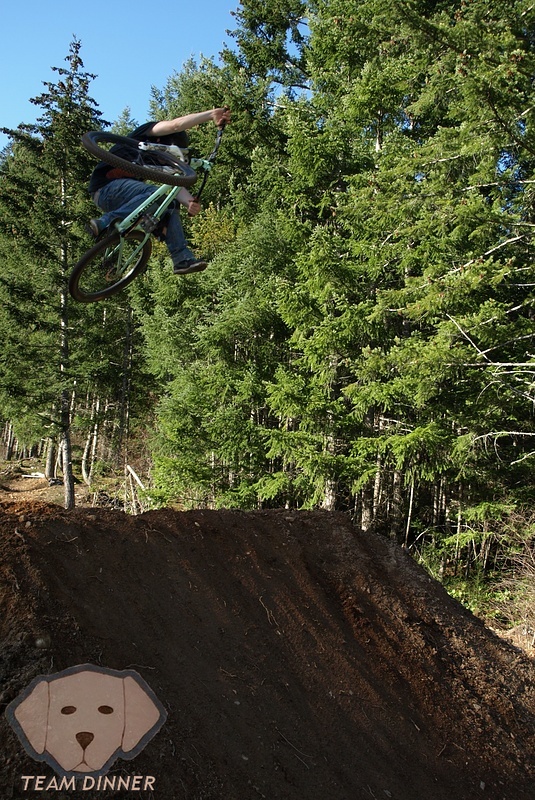 From dirt jump locations in our home town to Whistler and Mt.Washington. We are stoked on how it turned out and hope you guys are too! Details and Video inside!We started filming in August really wanting to get this done. After a little motivation we set off riding as usual and filming every bit of it. The riders include myself (Cole Fulton), Aaron Boss, Kevin Smith, Ryan Smith, Syd Irvine, Dan Leney, Eric Dasilva and Corey Marshall. Even a guest appearance by the dog we call Dinner!! Starting off with my jump's getting some footage there we moved on to our other two friend's jump's both being a rad time where everyone was throwing down! 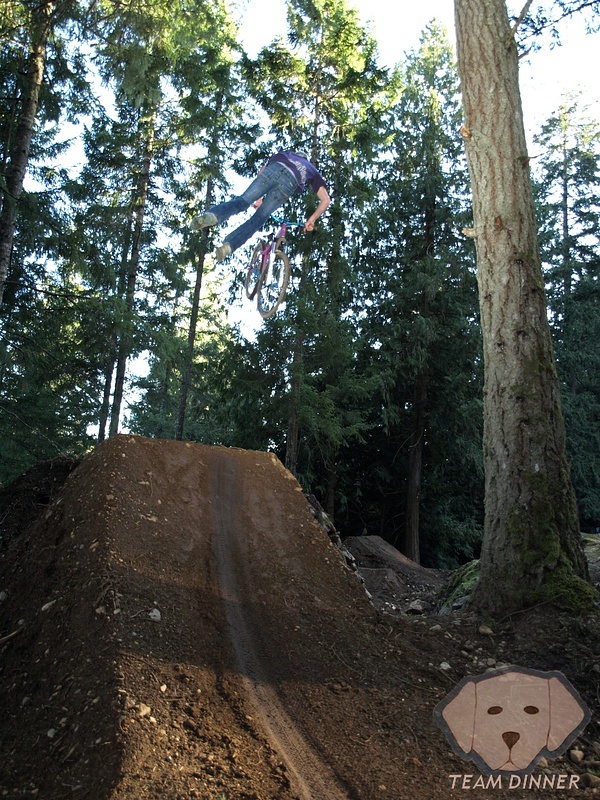 Dan pulled some clean flip whips and three whips with some awesome shots from above and Boss sending 360 bars! Our usual riding spots worked out great then it was off to Whistler B.C. for a little helmet cam run down crank it up and a couple shots from the dj's. Next on our list was Mt. Washington we got all Team Dinner up there for a day of filming on some amazing trails like Back in Black and Wizard. Definitely worth that exhausting self filming. The next day we headed to the Jump Jam which is held at the mountain. Not many shots are in the movie except for Ryan's Frontflip that he pulled on the tinniest jump winning best trick! Check out the Video! and thanks to everyone! Team Dinner is taking over! Next season will be outta control. Loving the edit! Thanks for using my photos! YEAH COLE! yer so dialed. super sick, that vid will be a vod.